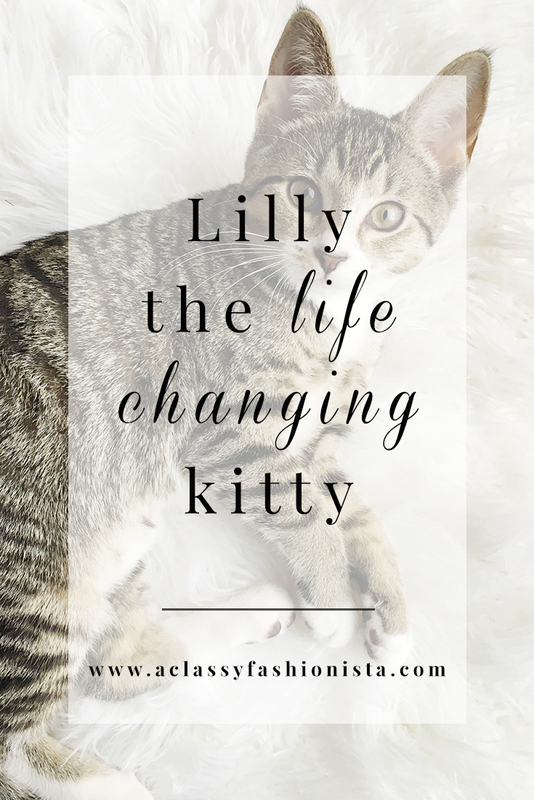 If you haven't read my first post about when we first adopted Lilly, check it out here >> The Real Reason I Got A Kitten. In that post, it explains why I decided to get Lilly, and let me tell ya, I get real. Lilly has helped me overcome so much in such a short time. I've only had her for a little over three months (we adopted her at 9 weeks old!). While she is literally growing, I am growing to love myself. She keeps me company while I'm doing my makeup or anything around the house, (she follows me everywhere!) 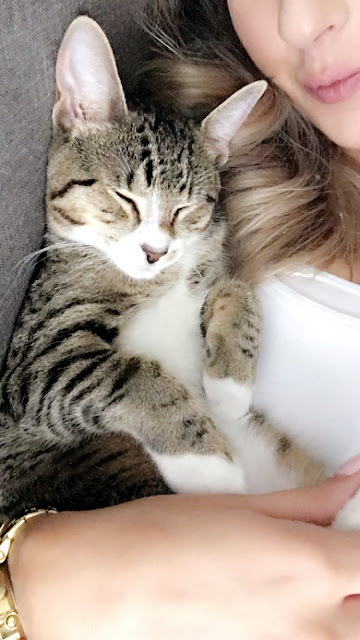 but best of all, she snuggles me when I am sad. Lilly will even bring her toy mice to me and snuggle as if she were saying, "feel better mom!". I've had more good days than bad since Lilly came along, and for that, she deserves some treats, don't you think? I've been hanging out with friends more, I love my job, and I am learning to be content in the season that I am. Though that may not always be the easiest thing to do, I am trying, and that's all I can do. All we can do, is try. Here's a few pics so you can gush with me at her cuteness. I'm obsessed and she's basically my child. 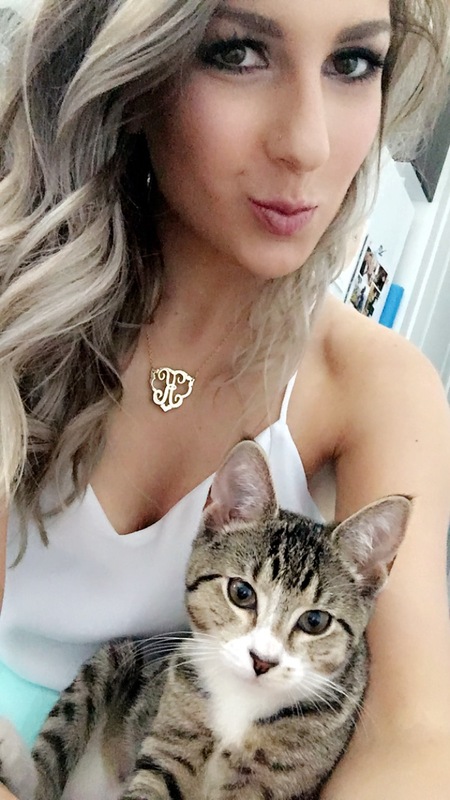 Yes, I am a cat mom and I have no shame and she will forever be more than just a pet. She is my life changer. If you or someone you know is suffering from depression and/or anxiety, maybe a kitten is the right way to go! I know it helped me tremendously. Head to your local shelter, save a life, and let them change yours.